1940s: View from inside car that drives on road surrounded by trees. Boy looks at far away mountains. hd00:22Dangerous driving on highway. snow falling dense blizzard. Car front window view in winter. 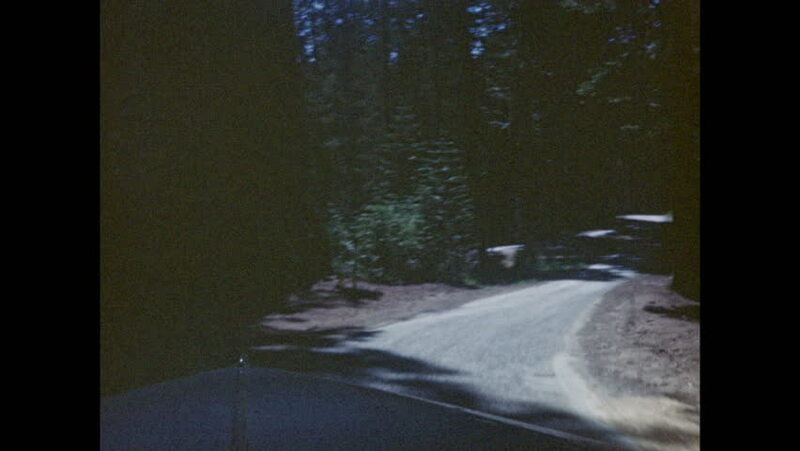 hd00:32CIRCA 1910s - A road is constructed near a forest in the US. hd00:151980s: car parallel parks on beach road. man in striped shirt gathers towel, wetsuit and scuba mask, opens car door and exits.